Natural beauty is trending, and it’s a trend we fully support. All natural everything is one of our favorite beauty movements. 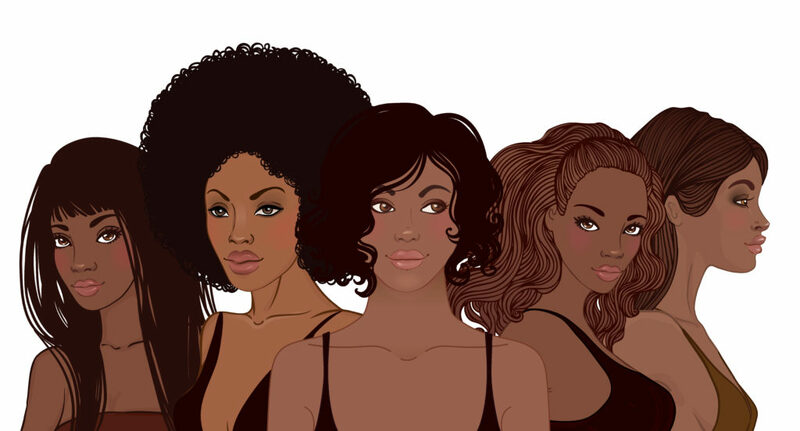 Embracing and showing off natural hair, skin and beauty is so fierce! This movement away from enhancements and toward natural looks really took off when celebrities started showing off their gorgeous natural curls and styles on red carpets, music videos and the big screen. Now that naturally curly hair is getting the attention it deserves, we are seeing more and more hair products and styles tailoring to curls. One of the most popular natural hairstyles that looks good and is good for curls is bantu knots. It’s possible to do bantu knots on any hair type or texture. Results will vary slightly for each curl type, some will result in looser waves and some will give springy curls. Any way you twist it, you’ll end up with delightful curls! The process for bantu knots is fairly simple. It’s best to start with dry curls and apply some curl- friendly product. This can be a moisturizing product and/or a curl-defining or holding product. (It really depends on your hair routine and the result you want from your bantu knot-out.) It is best to use non-water based products to help avoid frizz, and a product with moisturizers on your ends if you have dry textured hair. Next, you’ll want to begin parting your hair into sections. The number of sections you have will depend on the length and thickness of your hair. You really just want to focus on separating the top from the bottom and going from there. Once you have your sections, begin twisting the hair from root to end. You’ll want to leave about an inch from the scalp not twisted. This is so that the twist isn’t too tight against the scalp, which can cause pain. Form the twists into small knots and secure with your choice of rubber bands, clips or bobby pins. You really just have to find the specifics that work for you with these knots. From here, you can accessorize your knots and rock them as-is or you can sleep on them and do a knot-out and rock those gorgeous curls. Check out some inspo for each style below! Now that you’ve got your bantu knots in place, how are you going to style them? Bantu knots can be rocked all day as-is or you can do a bantu knot-out to show off your natural curls. A bantu knot-out is the process of taking out the knots and lightly separating out the resulting curls. When doing a bantu knot-out, you’ll want to use a little bit of oil on your hands to help prevent frizz. You will unravel the knots and lightly separate them out with your fingers. Lastly, you can use a pick to lift the roots and hide the parts. Your end result is beautiful curly hair! What’s knot to love? If you’re going to rock the “knotty” look all day, why not add some cute accessories to spice it up? We love these gold rings, headbands and combination of knots and braids. After your bantu knot-out, show off those glorious curls all day long! Want to Learn More About Hair? Do you love all things hair? Are you interested in learning more about hair care, styling, coloring and cutting? Consider getting a cosmetology education and making a career out of your passion!